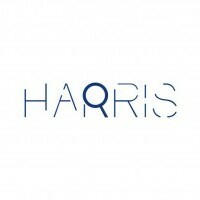 HARRIS - founded in 2016 by designer Ingrid Harris Lau, who is truly inspired by her daily life. Movies, music and art are Harris's real enthusiasms. Harris is in the hope that every single step of each collection can help her to collect and treasure the scattered pieces of her everyday life. Simple and clear style. Use of different color patchwork or shades of the same color patchwork to strengthen the sense of depth and three-dimensional garment are her real strengths in the design world. People is the most important element in Harris designs. The goal of every design is to provide people with durable, good looking and easy to match fashion. With Harris's collection, fashion is no longer the only sense of luxury but also practical to wear.